Renown global real estate brand. EastLiving Group (ELG) is a division of Savills Residential Pte Ltd, a renown global real estate brand that started back in 1855. EastLiving Group started in 2006 with a focus on East Coast properties but has since expanded its coverage to other prime districts in Singapore. The Group's forte is in the marketing and managing of leases of private residential and commercial properties in Singapore. At present, the team is 220 men strong and is the fastest growing group in Savills Residential. Agents in EastLiving Group are well-trained and possess the highest level of professionalism and expertise as they are trained under a structured syllabus and continually have to undergo thorough training and development programs. Every ELGian, a successful realtor with integrity, aptitude and graciousness. 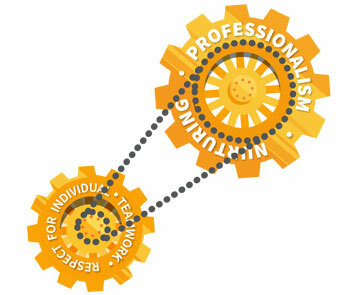 We consistently display a professional and positive behavior. We exercise discretion in our business dealings. We represent qualities of integrity and sincerity.